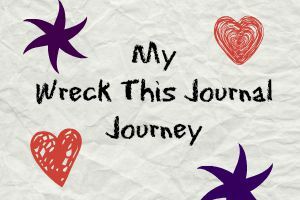 I purchased a Wreck This Journal earlier this year and I was posting an update from it every week, but stopped once I got a bit busy with other things. So instead of a infrequent updates I’m going to try and post a few pages all at once every month or so, and I keep going without worrying which page I’ll do next each week. 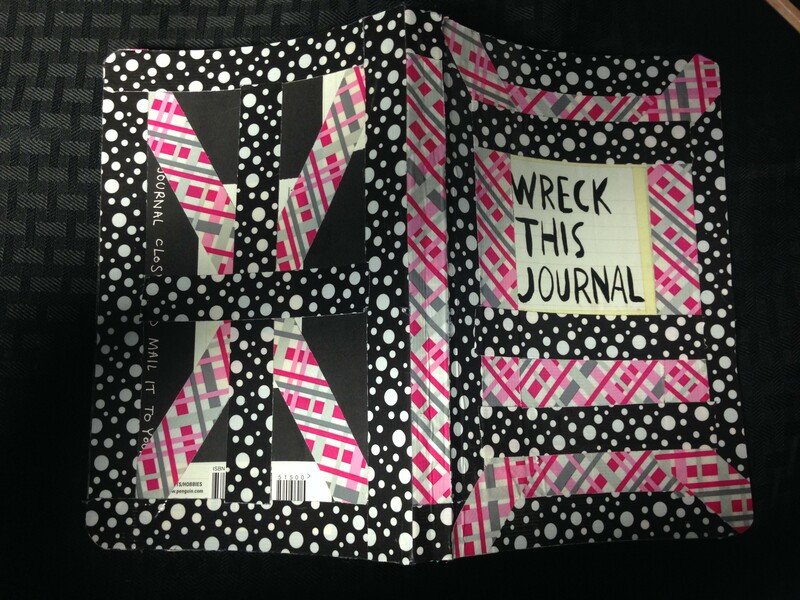 The Wreck This Journal started as many do, empty and pristine…just waiting for someone to come along and take out every stressful moment, every free once of time on them. 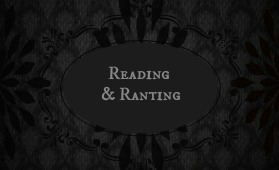 I originally used Tetris stickers for my cover…but I grew tired of everything being off center…because no matter how much the Journal demands you let go of certain standards, that’s one I have trouble with. So I bought some Duck Tape and went at it! And I love it so much more now. This tape is kind of expensive though, $2.99 each for a really small roll of it is sort of crazy. Starry Night is one of my favorite things to try and recreate, and I always pick a new medium when I decide to do it again. I’ve drawn it, I’ve painted it with cheap Crayola paint, and now with watercolors. 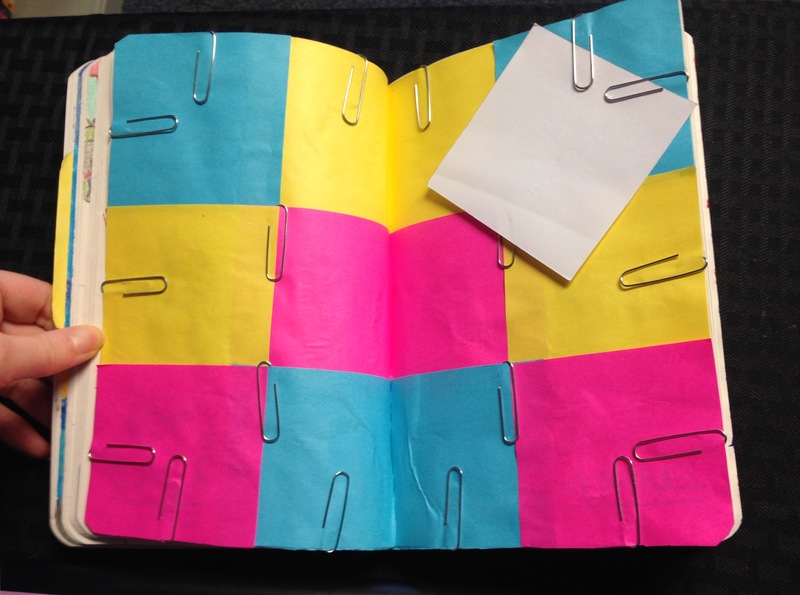 I was really confused in how I wanted to do this…so I just glued some Post-It notes to the page…then decided it was too boring and delicately shoved (yeah..I totally ripped the pages because delicate I am not) paperclips underneath the glued post-its. Now I have a nice little place to hold notes and such. I’m actually using it to hold notes with ideas for my next WTJ, which is most likely going to be Harry Potter themed. 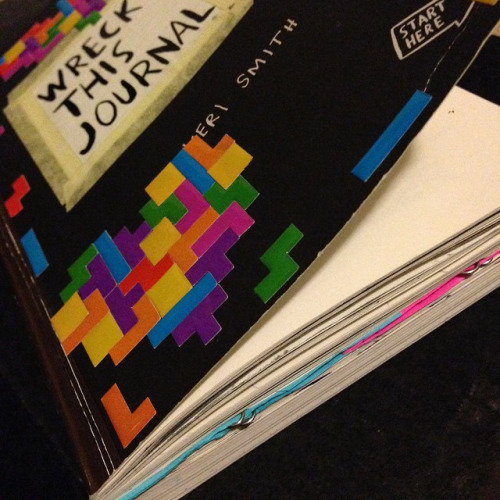 Image | This entry was posted in General and tagged reading and ranting, wreck this journal. Bookmark the permalink. This sounds fun..my girls would love it. It’s surprisingly a lot of fun. Plus it’s sort of an excuse to do things most adults don’t do anymore like finger paint or make paper airplanes. Wow! 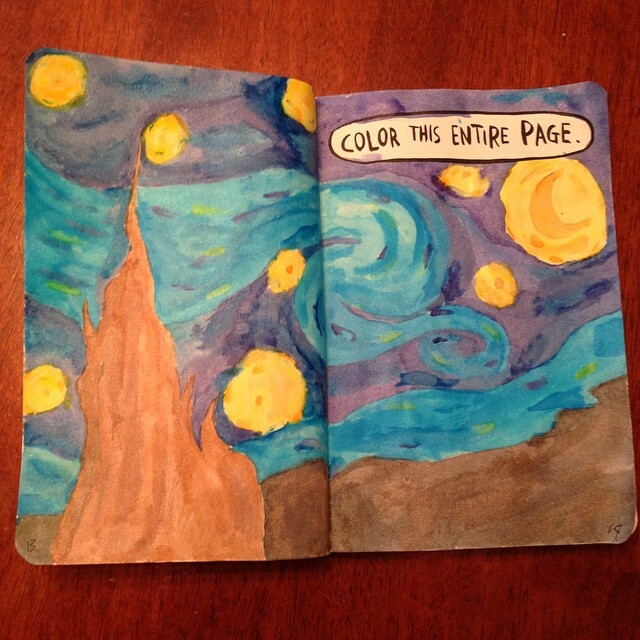 I love your Starry Night, and the post-it thing looks fun. I don’t know if I could do this, but I’m working toward it. I’m trying to put stuff other than just “I did this today” in my own journal/notebook (though there’s some of that, too.) Using several writers (including my daughter) as an example, my notebook now goes everywhere with me and includes: things to remember, from shopping lists to blog post ideas; notes for and drafts of book reviews; story ideas; story outlines and bits of drafts; people’s email information; lists of books I want to read and movies I want to watch; vacation ideas; and my trip journal from our summer vacation. And one sketch of a loon. Next time I plan to buy an unlined notebook so I have room for sketches and pictures. Thank you! Journaling takes a lot of patience, and I’ve never had enough to have a true journal with sketches and such. This one is definitely more my speed since it provides some prompts and then I interpret them how I like.